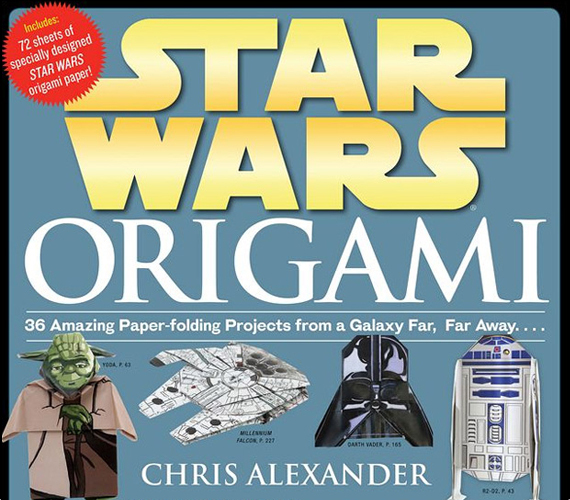 If you’re ready to upgrade from making lightsabers out of toilet paper tubes to creating intricate paper Millenium Falcons, then you got to pick up the Star Wars Origami book. It contains 36 Star Wars origami projects, including instructions on how to make your own folded paper characters like R2D2, Yoda and Darth Vader. It’s especially useful for people who can’t afford the officially licensed toys, but have plenty of time on their hands. Of course you can’t play with them because they’ll get all crumpled and mess up, but the same holds true for collectible figures—something I learned the hard way after playing with my brother’s Star Wars figures. Twenty years later and I’m still not hearing the end of it!